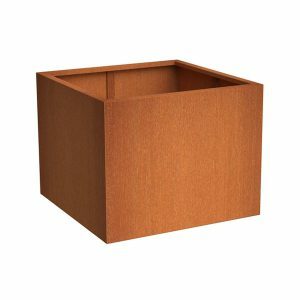 Buy beautiful Corten Steel planters that naturally develop a protective layer of rust for long lasting protection against the outdoor elements. Take a look at our range. 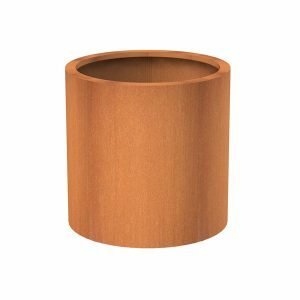 Our Corten Steel planters are extremely long lasting and will bring a stunning look to your outdoor garden display. Made from a durable steel alloy, each mental planter will naturally weather once outdoors and develop a protective layer of rust. This natural weathering will take about 4-5 months to develop and the Corten Steel will change into a beautiful shade of orange brown. This provides long lasting protection against corrosion when placed outdoors. 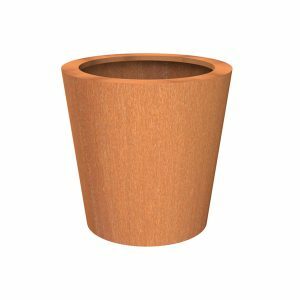 The square Andes design is a great choice for commercial spaces, whilst the round design of the Cado, Celso and Atlas products are suitable for potted plants in your garden. 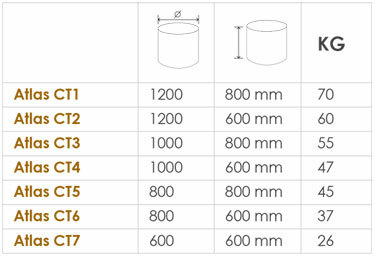 Take a look at the different options above and choose your size, or browse our other metal pots in our contemporary range. 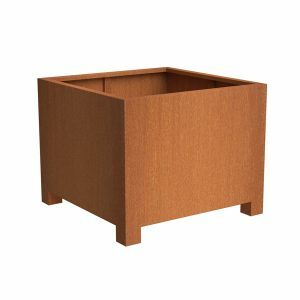 Each rusty metal planter is made to the highest standard and is fitted with 15mm high feet to raise the container off the ground. 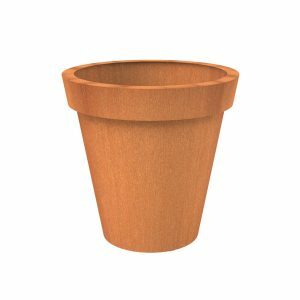 Our modern garden pots are popular for their reliability and natural look, and are particularly favoured for outdoor public spaces. They easily compliment a whole range of plants, flowers and trees and we can customise a product to suit your exact requirements. Just let us know what you need and we’ll let you know what we can do. For more information about our Steel Plant boxes or to enquire about bespoke sizes or quantities, please get in touch with our team. Give us a call on 02476 559 416 or send us a message and we’ll get back to you as soon as possible. We’re happy to offer you advice and answer any questions.